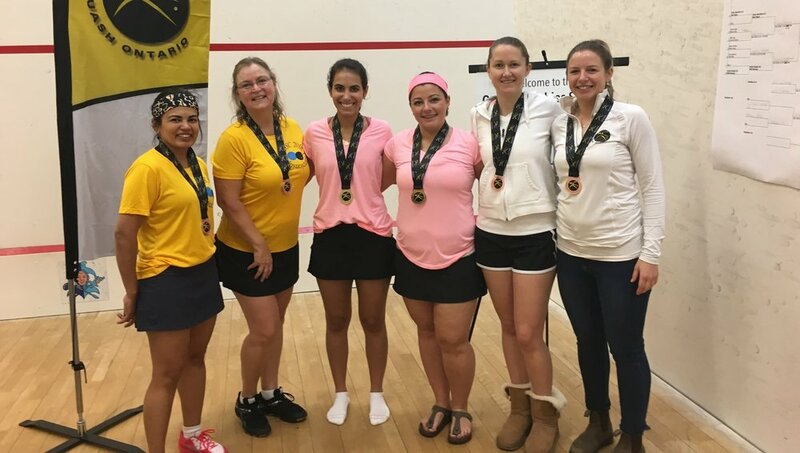 Women’s Open Champions: (left to right) Tom Nederpal (Tournament Referee), Champions Seanna Keating and Sam Cornett, Diane Naughton (Tournament Chair), Finalists Stephanie Edmison and Miranda Ranieri, Jamie Nicholls (Squash Ontario Executive Director). 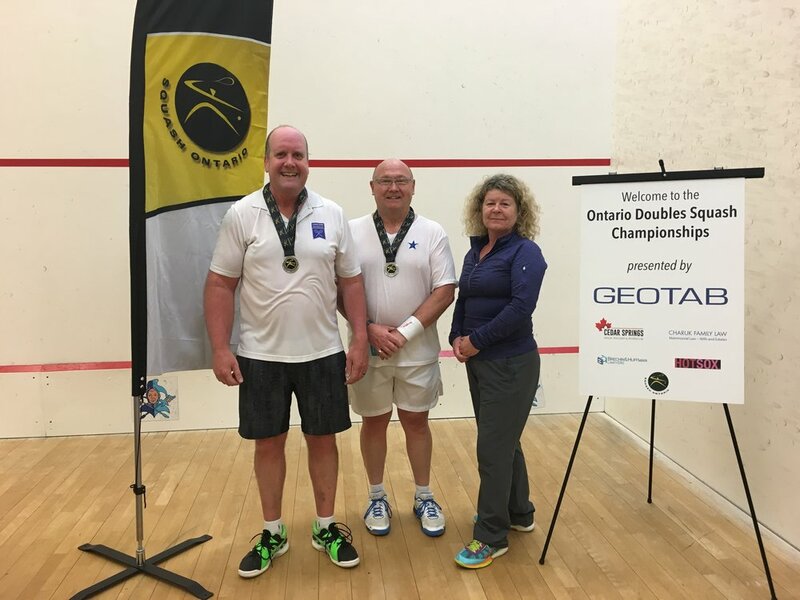 Over 100 doubles players descended to Cedar Springs and Burlington Racquets to join in the action on and off the courts. Cedar Springs proved to be an excellent facility with it’s three doubles courts and court side bar! Thank you to event sponsors Geotab (Neil Cawse), Brechin & Huffman Lawyers (Greg Brechin), Hot Sox (Brian Grant) and Ted Charuk. Champions Sam Cornett & Seanna Keatin, Finalists Steph Edmison & Miranda Ranieri, 3rd Place Nicole Garon & Laura Savage. Champions Arjun Gupta & Will Mariani, Finalists Jamie Nicholls & Jeff Lurie, 3rd Place Tyler Hamilton & Rob Nigro. Champions Nathan Drew & Paul Kelly, Finalists Shane Bell & Richard Usher Jones, 3rd Place Peter Ellis & David Harris. Champions Dave Peters & Chris Wichers, Finalists Jeff Anderson & Filippo Isabella, 3rd Place Thang Le & Marco Wong. Champions Hanna Grover & Katie Mariani, FInalists Farhat Salemwalla & Carrol Trunk, 3rd Place Olivia Meikle & Lynsey Yates. Champions Norm Crook & David Hamber, Finalists Malcolm MacGregor & Bryan Maynard, 3rd Place Nigel Meakin & Geoff Newton.